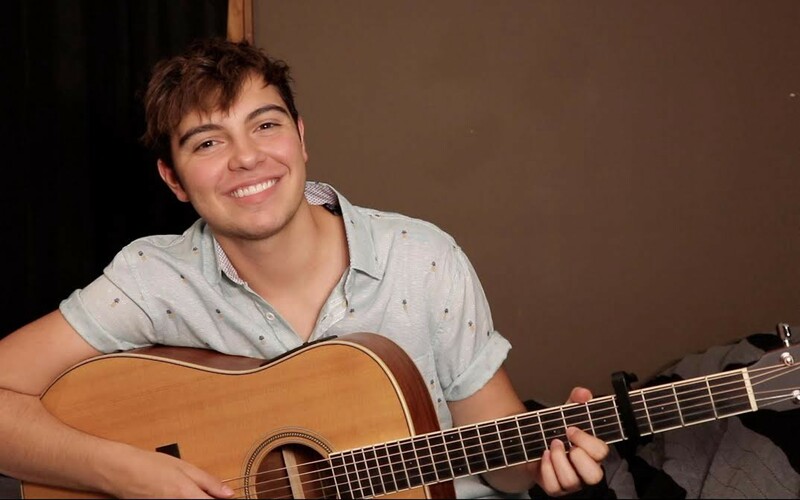 My friend Mack, known on Instagram as Mack Man, is an open and proud transgender YouTuber and a very talented singer-songwriter. Mack has recently celebrated his two year anniversary on testosterone. As a trans guy, who is also a singer, I’ve done lots of research about hormone replacement therapy and testosterone and how it effects the singing voice. Even though I have decided not to take testosterone as a path of my medical transition right now, I am still fascinated watching my trans guy friends physically change before my eyes and become more comfortable with themselves. It’s a beautiful thing to watch and it makes me very happy to know that the option and science exists for us trans guys. It’s certainly save a lot of my friends lives and for that I am so grateful. There’s a lot of concerns when a trans guy is a singer and thinking about taking testosterone. There’s concerns that the singer may lose his vocal abilities. Over the past ten years, I have watched several of trans friends who are singers have shifts and changes in their voices. I’ve seen some struggle with singing for a while, I’ve seen them change the keys of their songs, I’ve seen them drop octaves and sing beautifully again. A lot of them had vocal training to maintain their vocal abilities and navigate the shifts. Mack has worked hard to keep his incredible singing voice throughout his transition and while his voice was settling into what it is now. Today, I decided to ask him some questions so that some more information about testosterone and singing could be in the world to serve as a resource for those who may need it! Ryan: Thanks for doing this Mack! I’m so happy to get to talk to you about this! Congrats on 2 years on testosterone. When did you realize your voice dropping? Were you scared at first? Mack: I made monthly singing voice updates every month for the first year of being on testosterone. At 1 month, I noticed that my voice got slightly lower. For my cover of “Man in the Mirror,” I sang it a half step lower than I sang it pre-testosterone. My voice never squeaked, but it would break. Meaning, I’d be singing a note, and my voice would suddenly just stop. And, then I’d be coughing. So, that really scared me. I thought for sure that the issue would only get worse. It got better around 6 months on testosterone, and ended up completely resolving around 9 or 10 months on testosterone. Ryan: Before going on testosterone did you question going on it based on your singing voice? Did you have fear about your voice changing or even fears about losing your voice? Mack: I went back and forth about starting testosterone for a few years. The main reason was fear that I’d lose my singing voice. I’d seen many trans guys on YouTube go on testosterone, and their singing voices ended up fine. But, I’d heard a few horror stories of guys completely losing their ability to find pitches and sing as well as they used to. I was so dysphoric about my high pitched speaking and singing voice. I got misgendered in public and over the phone because people associated my voice with a “female voice.” I just didn’t identify with that voice. When I first started socially transitioning, I didn’t want to play music gigs or with a band anymore, because I hated being misgendered by my audience, based on my singing voice. So, I thought a lot about what my voice would sounds like on testosterone. I’d have a lower pitched voice, I’d like the tone of it better, and maybe I’d be more inclined to go out and perform again. Music had always been what I wanted to do with my life. But, in the end, I decided to risk losing my voice for the sake of not losing my sanity. Dysphoria had pushed me to a breaking point. I didn’t think I could live any longer without medically transitioning. Having a lower speaking voice, facial hair, a more masculine face and figure, etc were all more crucial to my personal survival than singing was. I decided with my doctor that I wanted to start on a half dose of testosterone, and slowly work my way up to a full dose. I thought that would ease my vocal cords more smoothly into a lower range. And, overall it did. My voice dropped very gradually. Ryan: Is your voice changing still? When did your voice finally settle into what it is now? Mack: My voice had been slowly dropping up until about 10 months on testosterone. Then I had a major drop in my voice. That’s when my tone started getting really raspy sounding, which I really liked. I was able to control my voice a lot better. By 1 year on testosterone, I loved the tone of my voice much better than pre-testosterone. The tone was more full, and more unique. My voice hasn’t changed much since being 1 year on testosterone. Ryan: Was there ever a time that it felt uncomfortable to sing or that you couldn’t sing? How long did those periods last for? Mack: The worst month was 5 months on testosterone. I’d lost most of my high notes, and I hadn’t gained many low notes. So, my vocal range was very small. When I even attempted to sing high, my voice felt very strained. I thought for sure that my range would keep decreasing, and that I’d end up with no singing voice at all. That lasted for about 2 months. Ryan: What are things that you did to be able to maintain your singing voice while your voice was changing? Mack: I made sure to do vocal exercises everyday. I was in choir and took private vocal lessons growing up, so I was familiar with vocal warm ups, scales, etc. This allowed me to stretch my range, and keep my vocal cords limber. I also made sure to sing different songs everyday, that used different parts of my vocal range. Ryan: Did you take lessons to learn how to use your new voice and range? Mack: Since I had taken vocal lessons before, and taught vocal lessons to kids in the past, I was familiar with the structure of lessons. But, I think it would be very worthwhile to get a vocal coach while your voice is dropping. It would keep you motivated to practice everyday because someone would be keeping you accountable. Also, sometimes you don’t realize you’re training your voice wrong. For instance, you might be singing from your throat instead of your diaphragm. Singing from your throat strains your vocal cords. Whereas singing from your diaphragm allows you to sing longer, stronger, and is less damaging. A vocal coach would be able to catch minor issues before they become major issues. Ryan: Did you range change significantly? Did you lose notes? Did you gain notes? Mack: Overall, my range is smaller than it was pre testosterone. Before, I could sing alto and soprano vocal parts. Now, I’m not quite a bass, and not quite a baritone. I’m definitely not a tenor. Depending on the day, I can only belt a few notes above middle C. I used to have a decent head voice (falsetto). But, I can’t really sing in my head voice at all anymore. However, I have gained significant low notes. And, overall, I like the low pitches of my current voice, better than I liked the high pitches of my pre-testosterone voice. Ryan: Did it feel like the changes were happening quickly or slowly? Was it ever hard to keep up with maintaining your voice? Mack: Since I started on a half dose of testosterone, my voice seemed to drop very gradually. It got quite lower and more full around 10 months on testosterone. And, from there, it hasn’t dropped much at all. My voice dropping felt like a rollercoaster that there was no getting off of, if I wanted to finish the full ride of my medical transition. So, maintaining my voice was really about just taking what I had, month to month. I didn’t know what the next month would hold. I didn’t know if this would be the last month I’d be able to sing or not. But, I just stayed put on that rollercoaster. And, I was mindful on that rollercoaster. I continued with my vocal exercises, and made sure to sing daily, with the hope I’d be able to retain my singing voice. Ryan: Do you like where you voice is now? Are there things that you want to change about it? Or do you want to train more to learn more things vocally? Mack: I really like my voice now. It has a really raspy tone, that I always wished for pre- testosterone. I do wish I could expand my range to high notes. I wish I could belt higher, and I wish that I had a falsetto. I think with more regular training and exercising, I can regain some high notes. It’s about being consistent and mindful in your training. It’s also about accepting what you have. I think it’s important to focus on the strengths of your current voice, rather than focus on the weaknesses. My weaknesses are something I want to work on, but having vocal weaknesses doesn’t mean I should discount the parts I do like about my voice. Ryan: What advice do you give to other singers that are transitioning with testosterone? Mack: I’d talk to your doctor about starting on a half dose. I’m friends with other trans people who’ve gone on testosterone, who have also started on half doses. And, our voices have all transitioned smoothly. It’s a less harsh process than having major drops straight away. It gives you time to slowly adjust to your ever-changing vocal range each month. I think it’s also very important to practice vocal exercises everyday. If you aren’t familiar with vocal exercises and scales, just search for some on YouTube. Getting a vocal coach would also be helpful, if you don’t have a history with vocal training. If you notice that something is feeling strained, tired, or hurt — stop. Don’t push your body. You might not be able to sing for as long of periods of time as you were pre-testosterone. But, that’s only temporary during the first year. Your voice is changing, and you need to be patient. Make sure to consistently practice, but don’t push yourself too hard. Ryan: When are you going to release some more music? 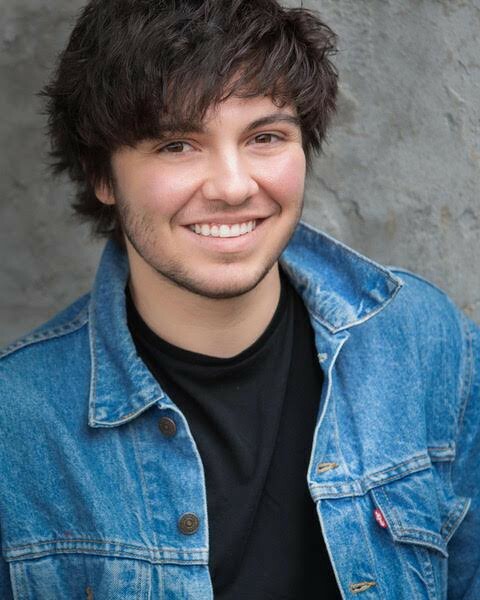 Mack: Within the next few weeks, I’ll be filming and uploading my 2 years on testosterone singing update. I’ll be covering “Bohemian Rhapsody” by Queen. So, make sure you’re subscribed to MackMan and have the notifications bell turned on! Other than my YouTube covers, I’m starting to get back into writing original songs. Now that I feel more confident in my voice finally having settled, I want to record a new album in the near future. I’d like to start playing live shows again, do some writer rounds, and maybe get a band started again!